Claude Monet (1840 - 1926) has always been known to us all for his amazing waterlily paintings. We all know him as one of the masters of impressionism. After visiting the exhibition Monet & Architecture at the National Gallery in London I experienced what a true master of light he was. 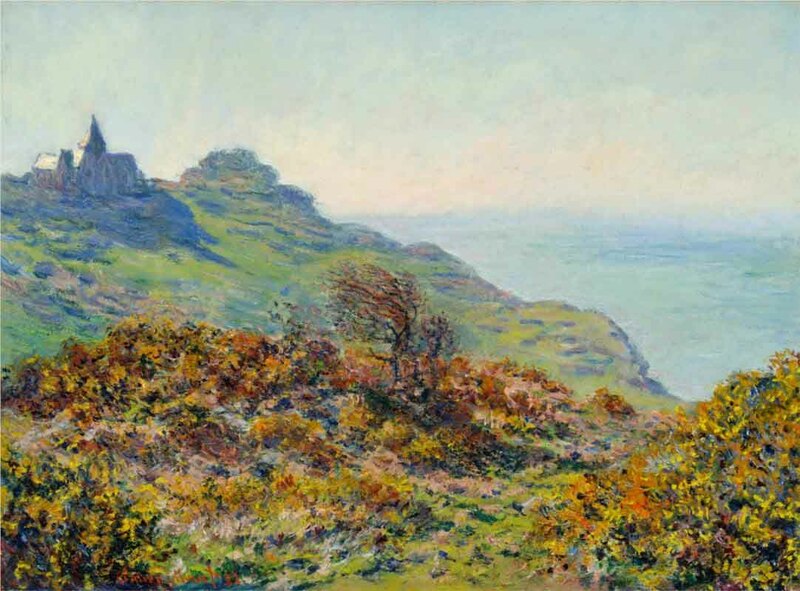 And considering I talked about colour and value on this blog last week, why not talk about Monet this week. Monet wasn't interested in architecture. 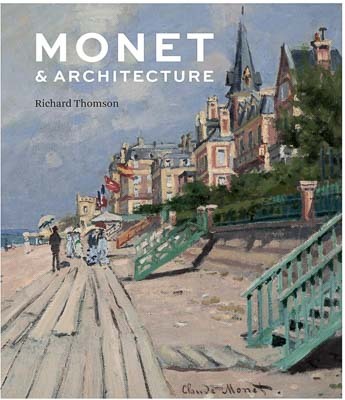 Despite the title of the exhibition I don't think anyone would say that architecture was Monet's thing. It does not make up the main body of his work. And although buildings feature in a lot of his work, what mattered were not the buildings, the craft or the structural techniques. He wasn't interested in the medieval skills of stone masons and architects, in buttresses and spires, nor in pointed arches or village churches. While walking around this beautiful exhibition at the National Gallery, what stood out to me was the light. Monet was a master of light. In his early paintings of the 1870s all I noticed was light, whether bright or dull, moody or vibrant. The grey views of Amsterdam (so very familiar to me), the View of the Museum in Le Havre, but also the much more colourful views of Varengeville and Dieppe all show this preoccupation with light. These paintings sing with light or impress with the lack of it. By keeping the colours low in chroma and the values close together, Monet recreates the moody atmosphere of a grey day. High chroma and strong contrast makes us feel the sunshine and coastal breeze as if we were there. The French coastal paintings are singing because their colour is so full on. The Varengeville scenes are all so very vibrant because of its high chroma vibrant colours. There is a fantastic use of atmospheric perspective - making the distant objects fade away in a blue haze, wonderfully contrasted by the complementary colours in the foreground. The scenes in Amsterdam are recognisably dull because of the close values and muted low chroma colours. 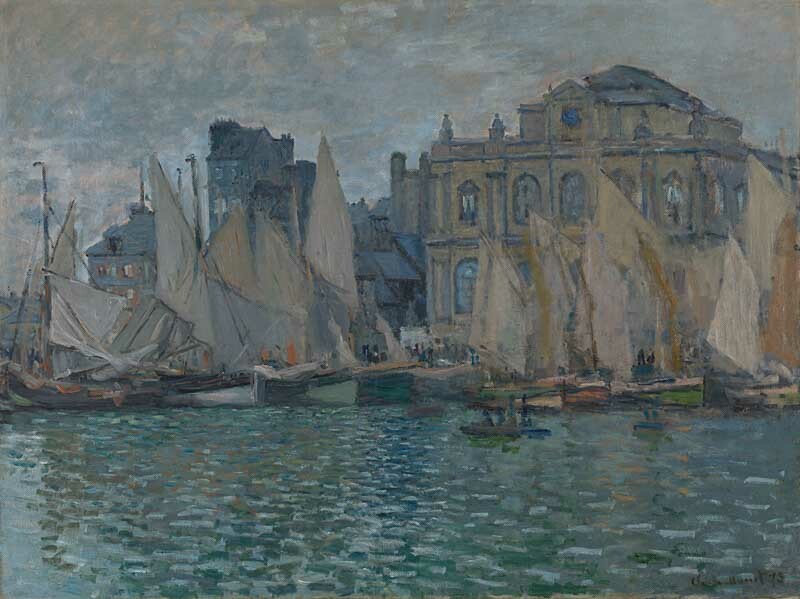 In a painting like the View of the Museum in Le Havre the colours are almost devoid of any chroma or colourfulness. 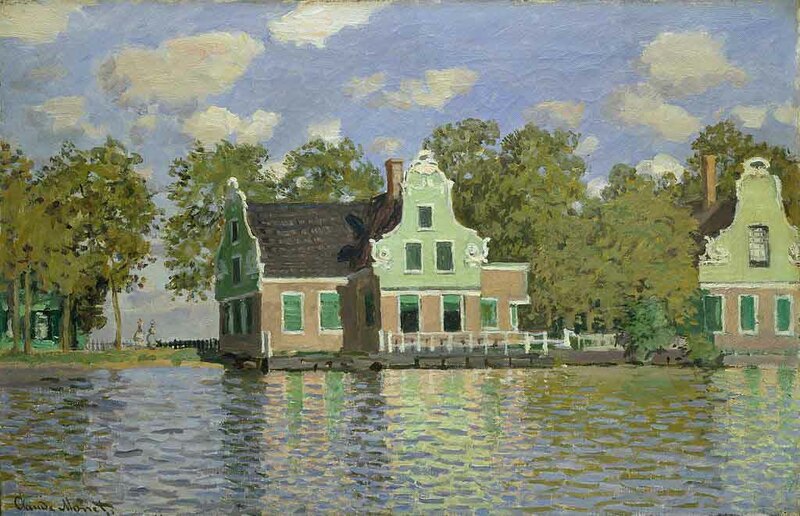 Monet is using the same tools as in the paintings of London and Amsterdam: a low chroma. These Northern paintings seem to lack any and all colour, thereby evoking the grey and dull days of a drizzly day. Besides colour, the lights and darks - or value- create the mood and form the shapes in the paintings. 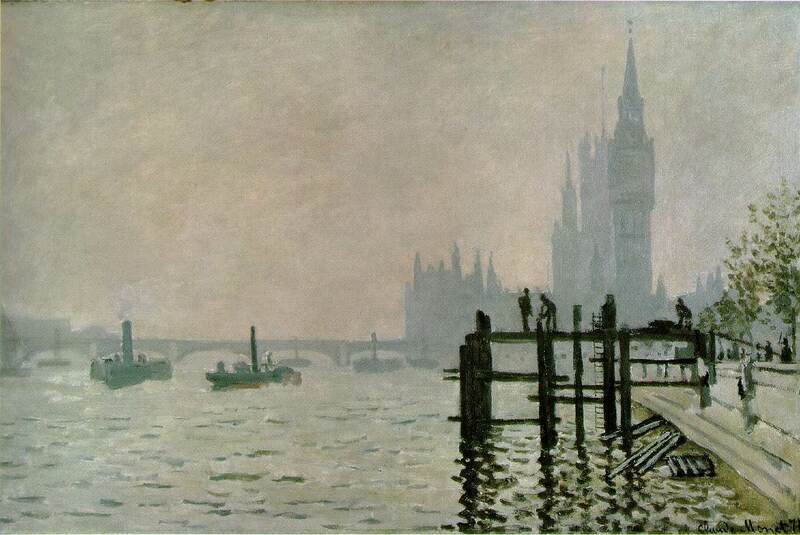 While in some, such as The Thames below Westminster, strong contrast is used for effect, in others, like in Waterloo Bridge, the values are kept very close together and everything looks very muted. 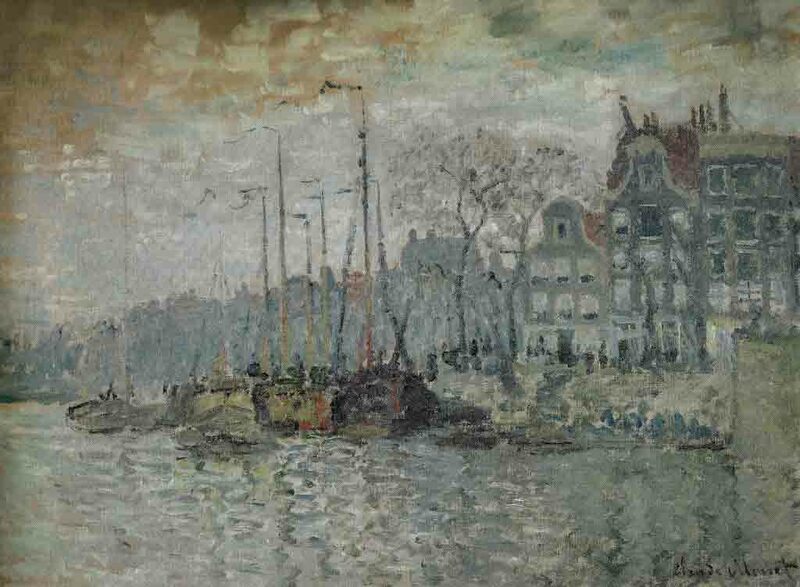 The grey and dull light of a cloudy day is perfectly captured by these muted value paintings. If there are any colours at all they all seem to be of similar value. In some works the colour increases in colourfulness but not so much in value. Only in the very sunny pictures does the value start to rise and do we sense the tingling feeling of a sunny day. 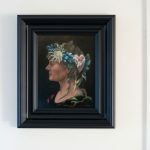 The increasing values - the increasing difference in light and darks - is what makes many of these paintings sing out loud (for example in The House on the River Zaan where the vibrancy is helped along by strong contrast as well as high chroma colours). The extremely bright sunshine in Varengeville is captured by the strong contrasting shadows. Combined with full chroma colours and you have a recipe for vibrancy. 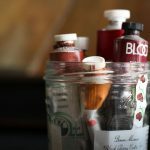 Combine low chroma colours with values close together and there is a recipe for atmospheric moodiness. 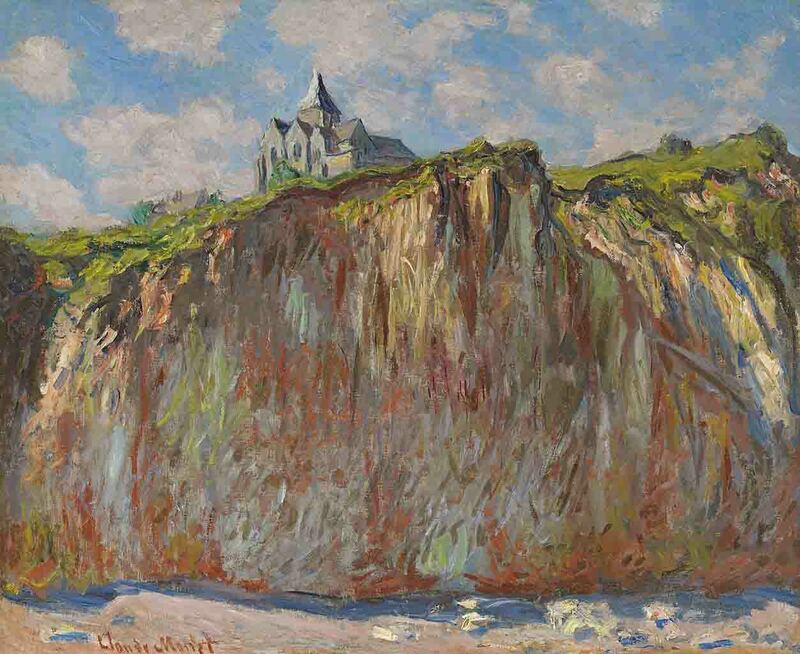 Monet knew as no other how to work these things into true masterpieces. If ever we looked for a teacher in colourfulness and values, he is your man. They will ask for a £2 voluntary donation. 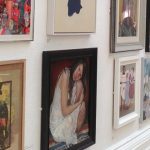 The beautiful catalogue is available for £25 and contains beautiful reproductions and essays from curators. Hardcover.